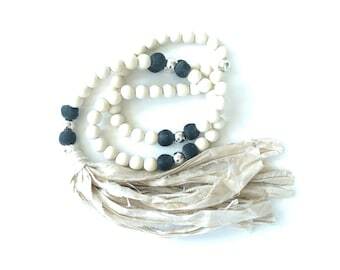 108 white Howlite gemstone beads are hand knotted on white silk cord with brushed silver plated nugget accent beads. 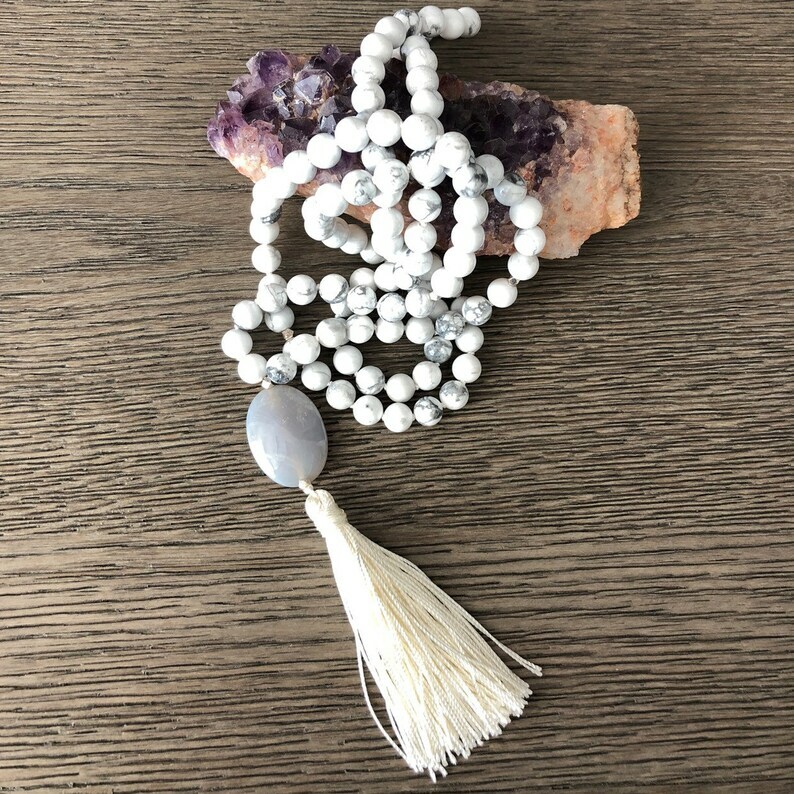 A white Agate oval and white tassel completes the Mala. This girl leads her life with a sense of positivity and focus. She is a pro at balancing her personal and professional life and she is the one everyone goes to for advice. She is intelligent and loves to share her intelligence with others. Agate is a strengthening and stabilizing stone that brings balance into ones life. 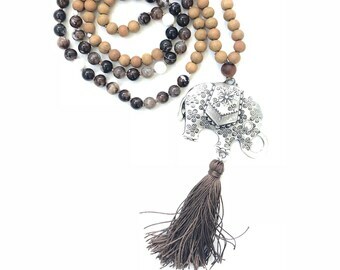 It has calming and elevating energies that help to uplift you in your day-to-day life. It brings peace and positivity and will keep you feeling empowered. 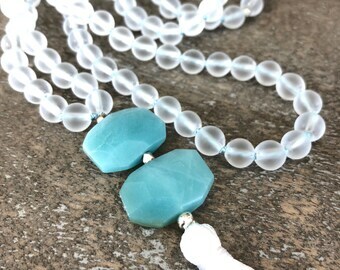 Howlite is the stone of awareness. It helps to achieve a better understanding of yourself and the people around you. 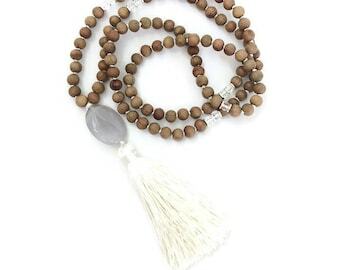 Howlite is known to give you wisdom and focus and is useful during meditation to help focus the mind. 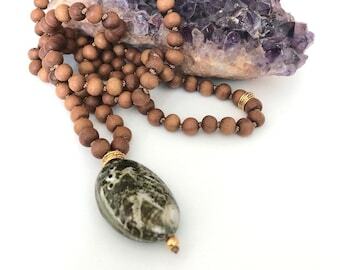 Your Mala has been cleansed with Palo Santo. It will arrive in a Girl 108 jewelry pouch, and as always, ships free withing the USA.